The Cambridge Tie Dress is your go-to dress for any special occasion: whether it’s for getting through wedding season or hosting a dinner party with friends. Wear it without the removable tie for a more casual look. Made from a beautiful and sustainable tencel twill, this dress is a can’t miss. Model: Adriana is 5'11" and wears the 0 (10-12). Perfect for a wedding, or just a Friday at the office. Designed for every occasion, yet never ordinary. It is literally perfect. 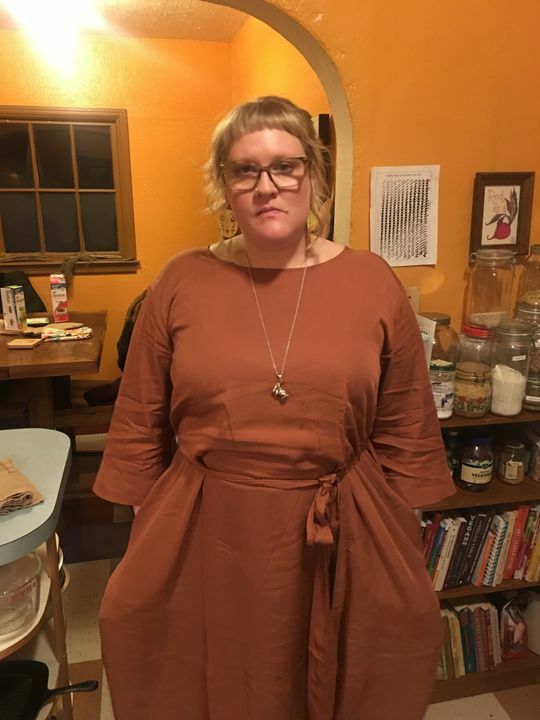 Its so beautiful, the fabric is so nice -- it feels and looks very expensive and it has a wonderful hand and weight that are so perfect for this dress. It's my favorite item I own, it really is perfect. Perfect fit, really comfortable and great quality. All the pockets. absolutely adore this dress. the color, the texture of the tercel and the fit are awesome. please make in more color ways! This Tencel feels like a dream! I absolutely love this dress and am sure it will become my fall uniform!